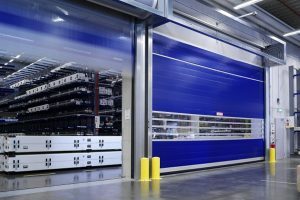 Looking for a Quality High Speed Door Supplier? Join 1000's Of Satisfied Customers. Established in 1994, we are a market leader in UK high speed door solutions, delivering cost effective, economical, practical, integrated products, tailored for every client. 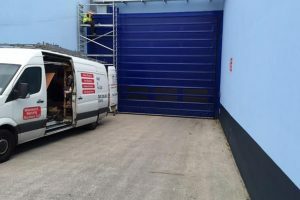 Owned by industrial door and roller shutter manufacturer Westwood Security Shutters, we have nationwide engineers on call to deliver our products wherever you are. With 1000’s of happy customers and 100’s of 5 star reviews, our friendly team is on hand to help deliver the high speed door solution you need. Please browse our products below or contact us today! High Speed Folding Doors are partitioned with horizontal sections, making them sturdy solutions for your work area. They are best-suited to larger work areas. 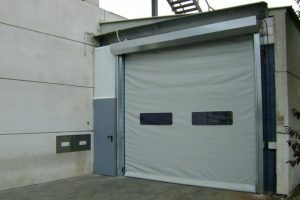 This type of door is suited to both small and medium size openings and designed for use where heavy traffic is present. Our new self repairing high speed door can be the best solution for your company logistics problem. 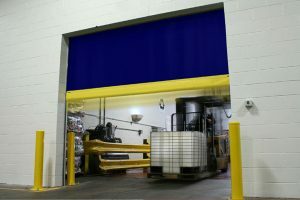 Partition walls-or curtain walls- are the ideal solution to divide warehouses, cut off noisy or dusty machineries and to create sheltered work areas. 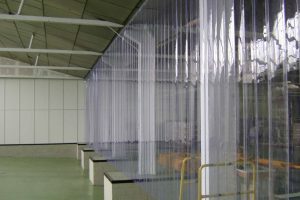 Strip doors or curtains in transparent plastic are the cheapest and the fastest solution to divide small or large rooms. UK High Speed Doors provide an emergency call out repair service if necessary, giving you peace of mind knowing that your shutter emergency can be taken care of quickly. 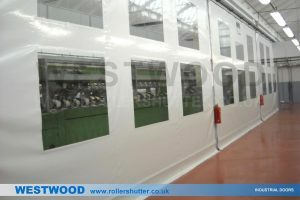 Providing roller shutters and high speed doors to satisfied U.K. customers since 1994. Call 0161 272 9333 today. Much faster than standard doors. Excellent heat retention, keeps dust and vermin out. Many different sizes of openings are catered for. Choose from a selection of easy remote access methods.